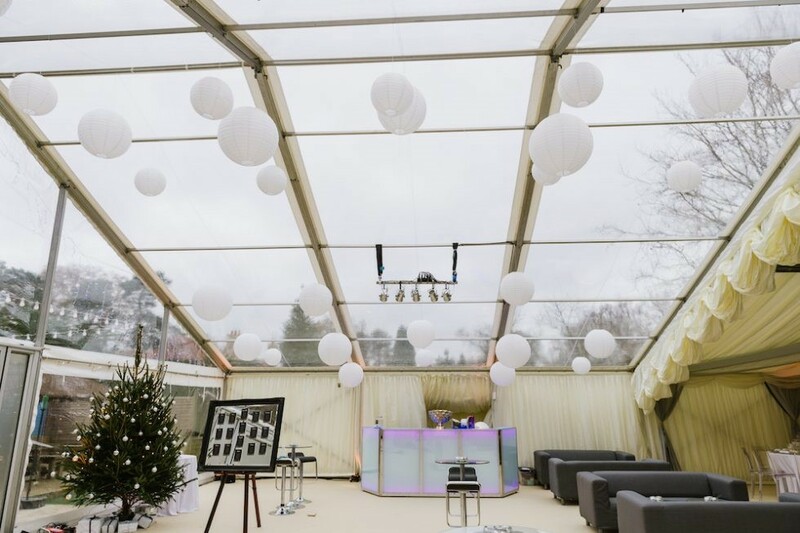 Sometimes when you’re planning an event, and especially with winter approaching, it’s not possible to use a unique structure due to ground conditions, weather or space limitations. 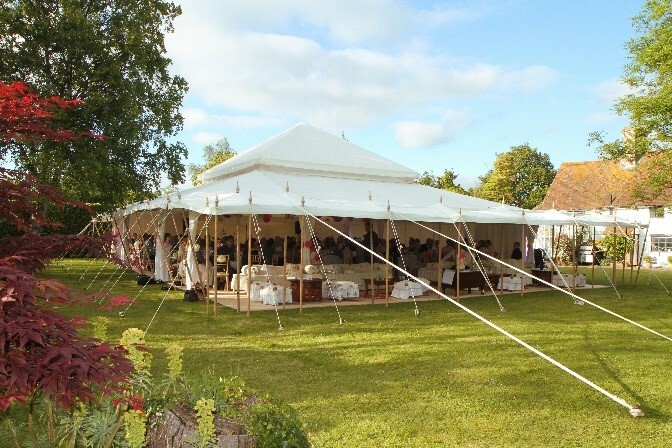 Sometimes you just need the practicality of a robust clearspan marquee as these structures can be put up on any ground surface, can be heated well and sealed against the elements in the winter, and their roofs tend to have much higher snow loading tolerance with the guttering able to let water run away from the ground under the tent. 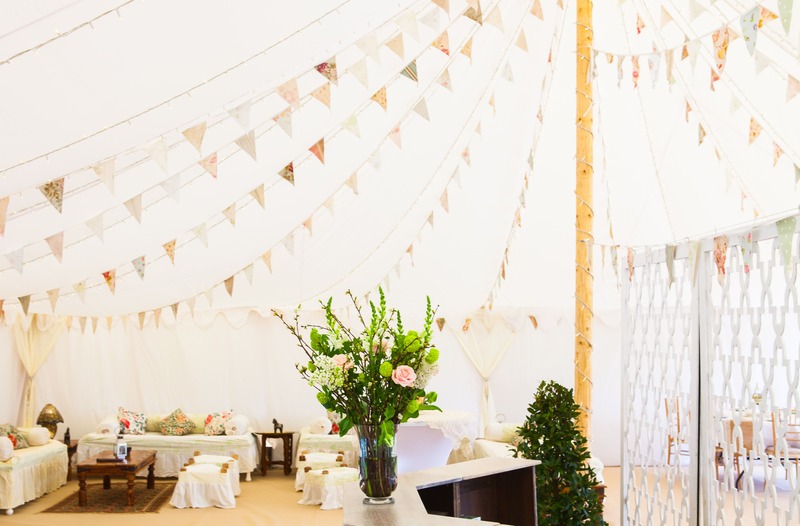 However, you don’t need to leave it looking like a big white box, and we’ve come up with our ‘Top 5’ ways you can create a beautiful interior for your marquee transformation. 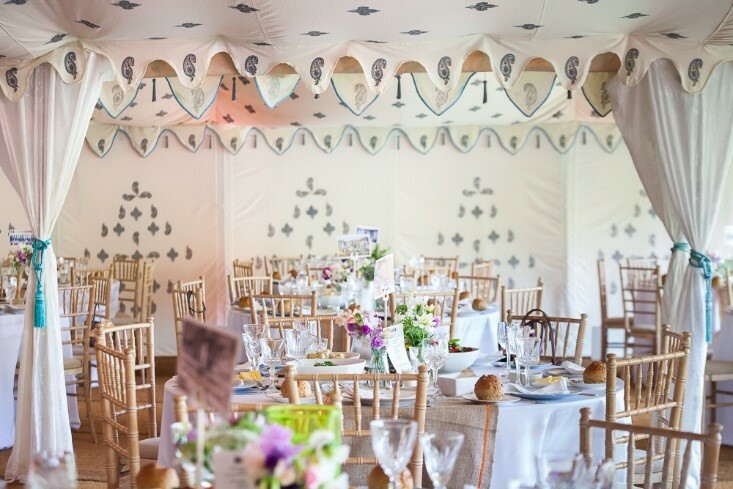 If it’s not possible to use a beautiful Arabian Tent at an event, you can still use the best bits about them – the interiors! 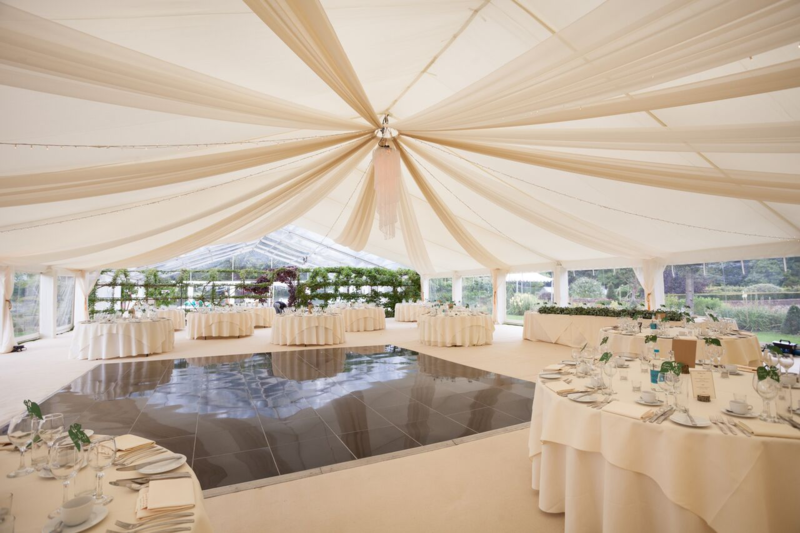 We can use our range of interiors in standard clearspan marquees with the Cornish Cream and Bombay Boudoir interiors able to fit marquees up to 15m wide and 33m long – enough for a party of 250 people with space for a dance floor and lounge area! 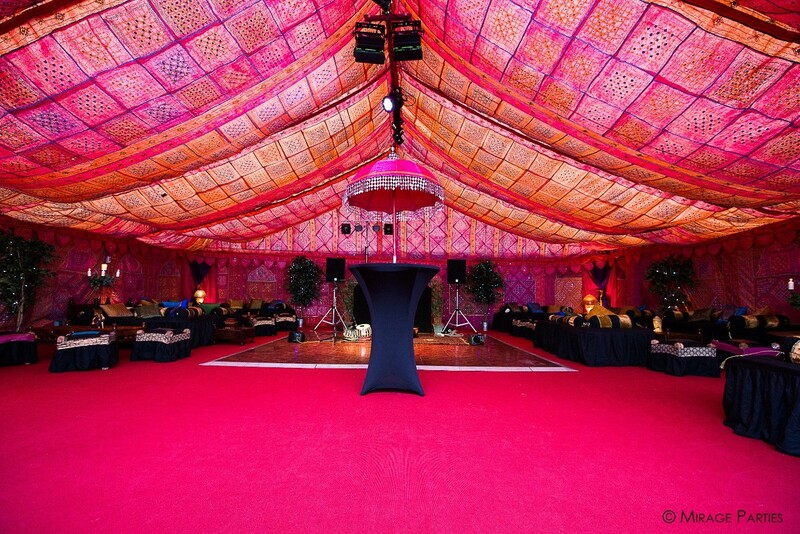 Pictured here is our Bombay Boudoir, which looks spectacular with pink carpet underlay. Sometimes just using the ceiling is enough to add another dimension to a standard structure, pictured here with our Bombay Boudoir linings. Leave the sides left open to make the most of the British summertime! Draping the walls, along with an accent swag in the ceiling is a great technique for creating cosy spaces. This technique can be used not only to transform marquees but also village halls, school gyms and barns. 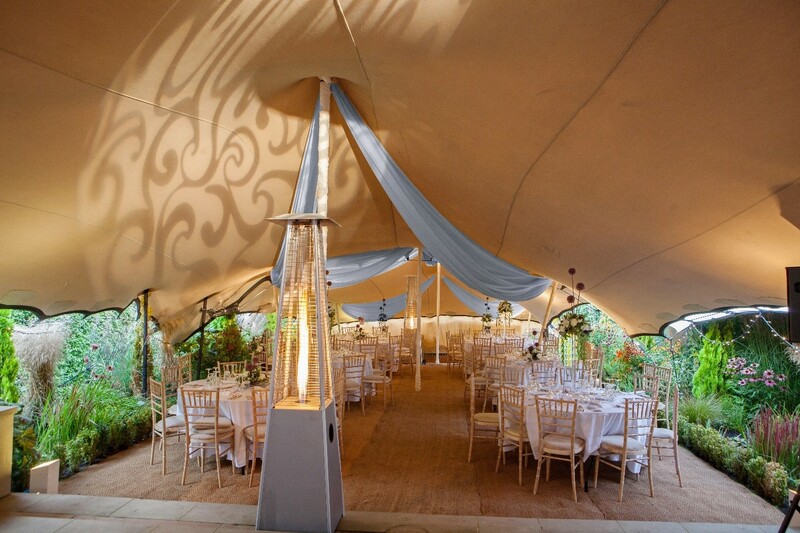 Adding our Arabian themed furniture, such as our munjis, coffee tables, and foot stools and accessorised gold detail cushions and lanterns all help in the marquee transformation process. 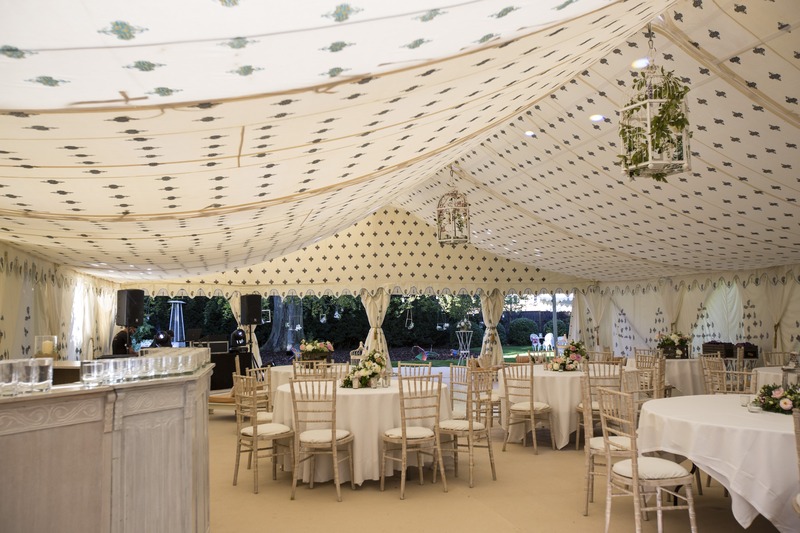 Alternatively, our linings can be used to dress the whole inside of the marquee, seen here with our Cornish Cream linings, and dressed with our birdcage chandelier suspended into the middle. 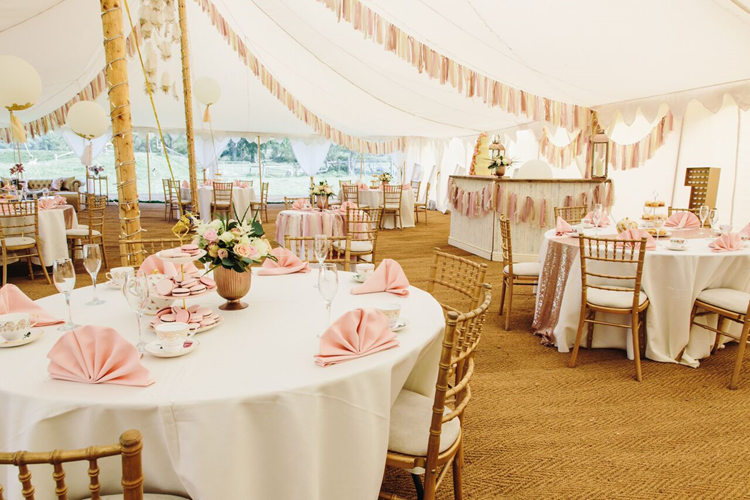 The Cornish Cream is also one of the client’s favourites for weddings and for summer parties giving a light and fairy-tale like ambience for your marquee transformation. Voila! 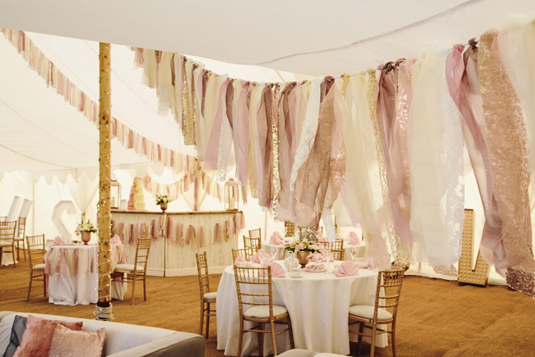 If you don’t want full coverage for the walls in your marquee transformation, leg drapes are an easy and inexpensive way of adding an accent colour and interest and is where guests will notice it most. These hang like curtains from the bottom of the roof of the tent and are ideal for hiding the legs if the walls are clear or open, but also work really well over the top of a wall panel. 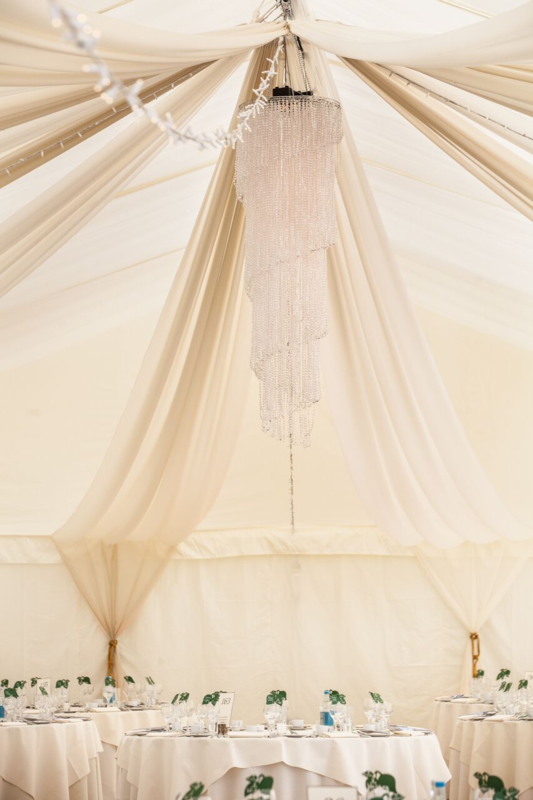 Our pretty white voile Cornish Cream drapes with a summery blue tassel tie-backs are great for wedding marquees, as seen below. 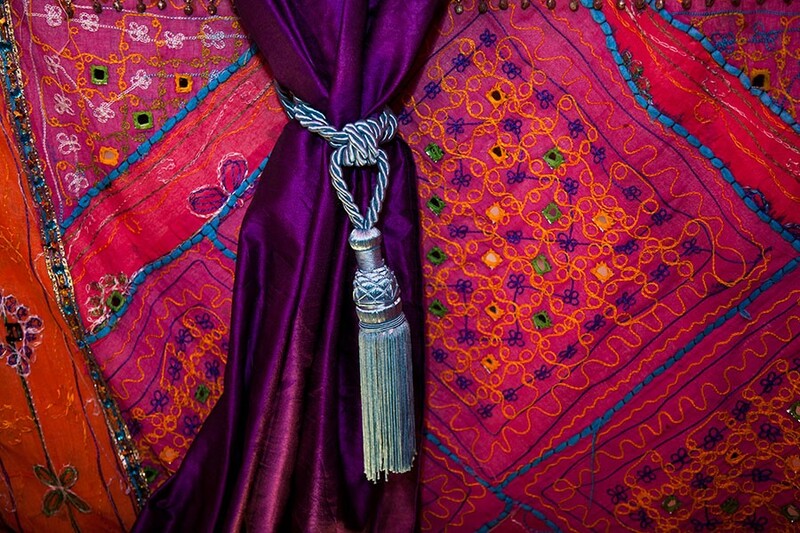 Brightly coloured silk drapes give a bold look against white. Alternating coloured leg drapes add interest, and also give you the option to incorporate the colour scheme into the ceiling drapes. Picking out the colour accent with the cushions and accessories, such as the multi-coloured striped rug pictured below, help to give a cohesive feel when dressing your marquee transformation. 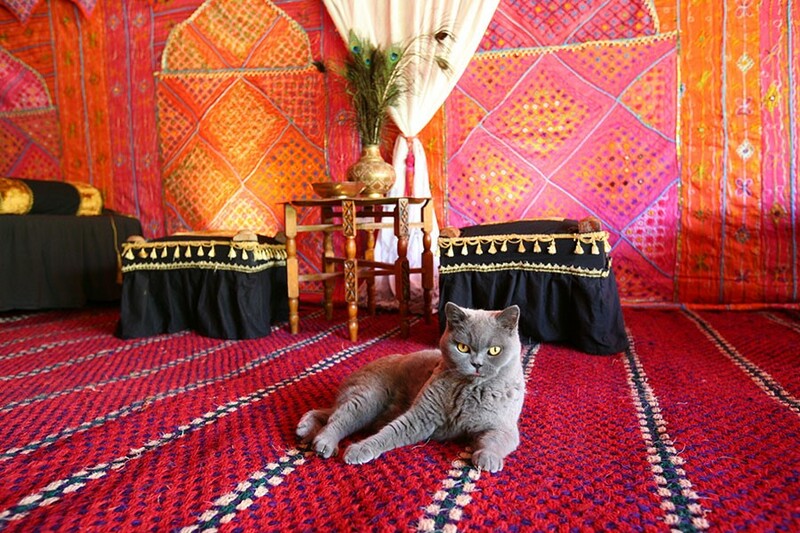 Or perhaps try a white drape on bold linings, pictured here with our Bombay Boudoir tent linings (and Katherine’s cat!) It works well here as the white drapes pick out the white detail in the carpet. 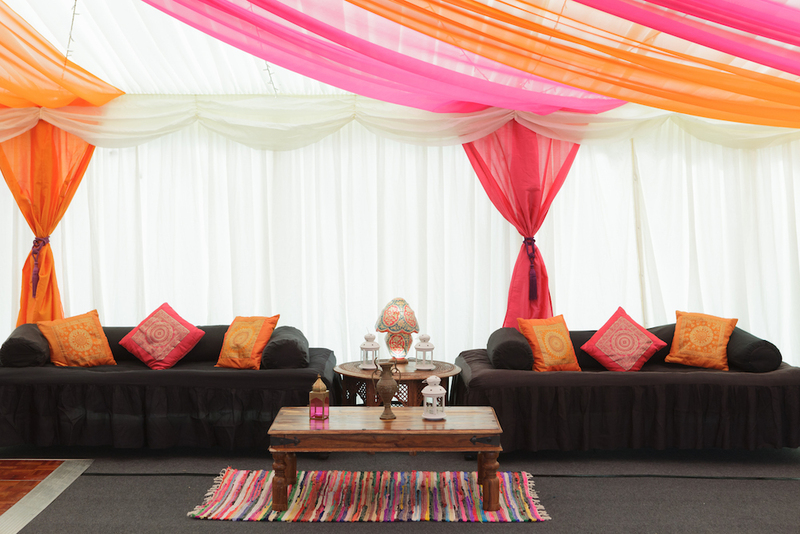 A bright on bright look adds extra colour and vivaciousness to the look of your marquee, seen here with the Bombay Boudoir linings. 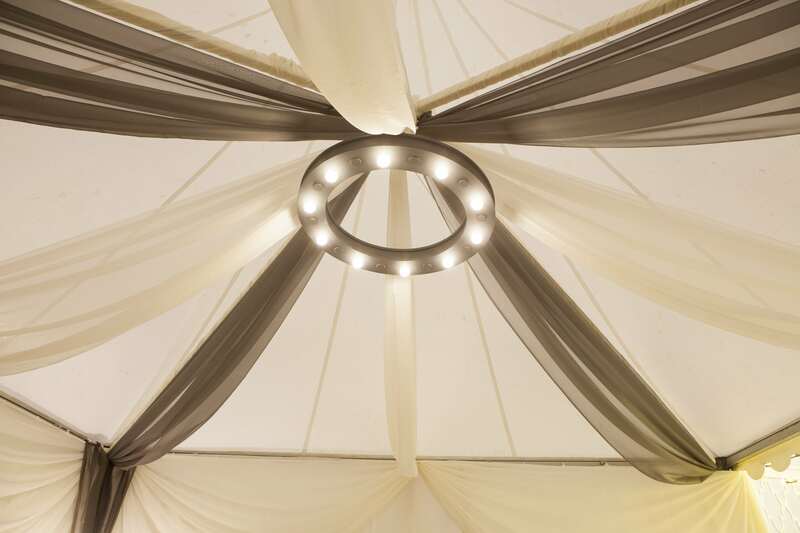 These are extremely effective for adding bright flashes of colour into the ceiling of a standard marquee, turning what would be an otherwise ordinary ceiling into the extraordinary. There are several different techniques that can be used for securing the ceiling overlays, and then using the fabric to create an effect in the ceiling, which includes fanning out from a central point. For this look, we suspended a hoop to hang the fabric from the ceiling. It’s all in the details! 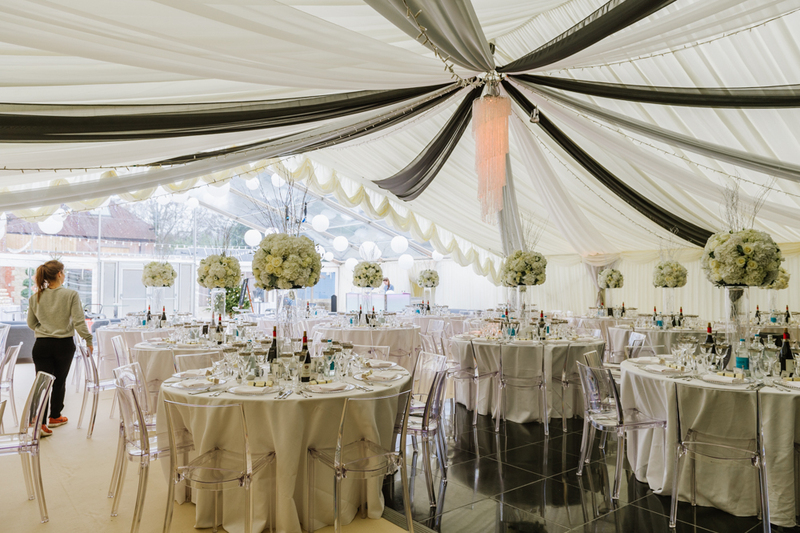 Using our Lumiere hoop, part of our Grey Luxe range ties in the grey and white draping. 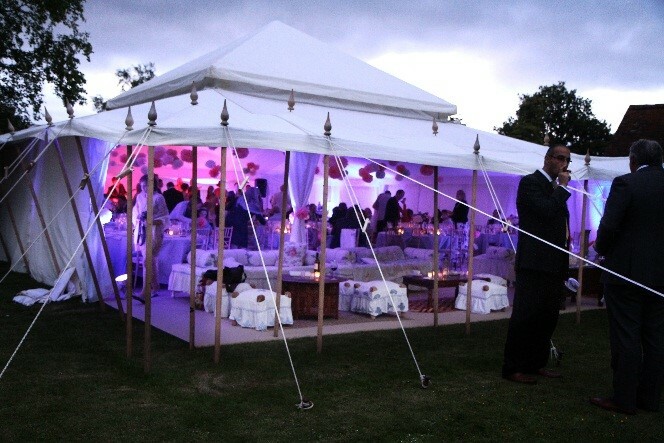 The ceiling overlay works really well to either add a generous splash of colour to the ceiling of a standard marquee which simply sits over the existing plain roof lining, to create a fun, fiesta-look inside a marquee. For a more elegant addition, a similar or matching colour to the roof lining can be added. The ceiling overlay is especially effective when combined with leg drapes to continue the colour down the walls. 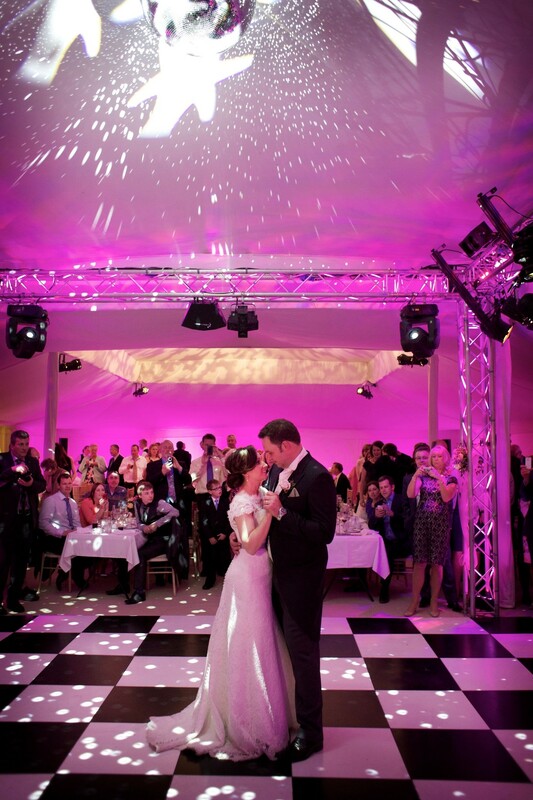 From Chandeliers to LED colour changing lights, to fairy lights and projectors – lighting is a very important element that can really add that “wow” factor to your marquee and shouldn’t be overlooked! 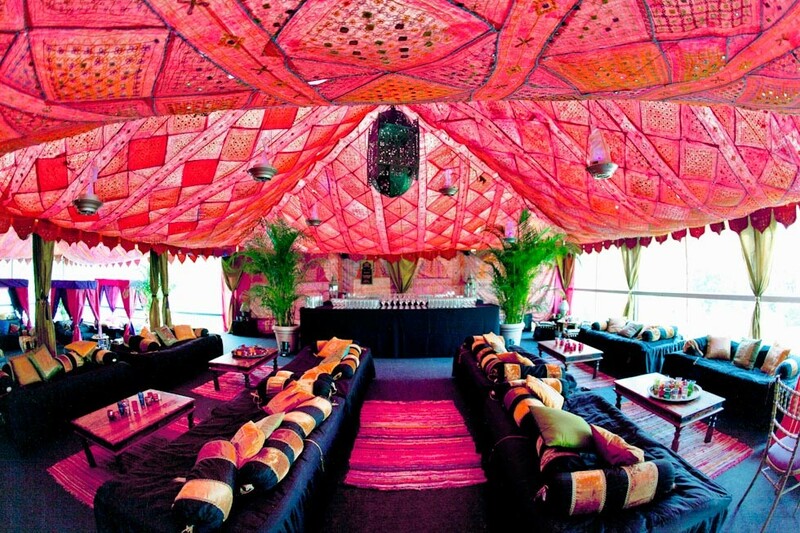 Chandeliers are always beautiful in tents. 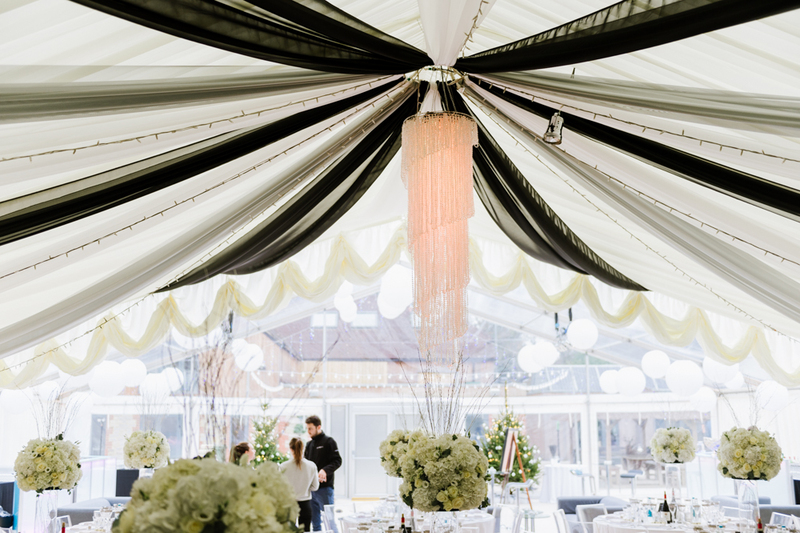 Use chandeliers to create a stunning and unique contrast, and also to amaze guests when they realise they are actually in a temporary structure! 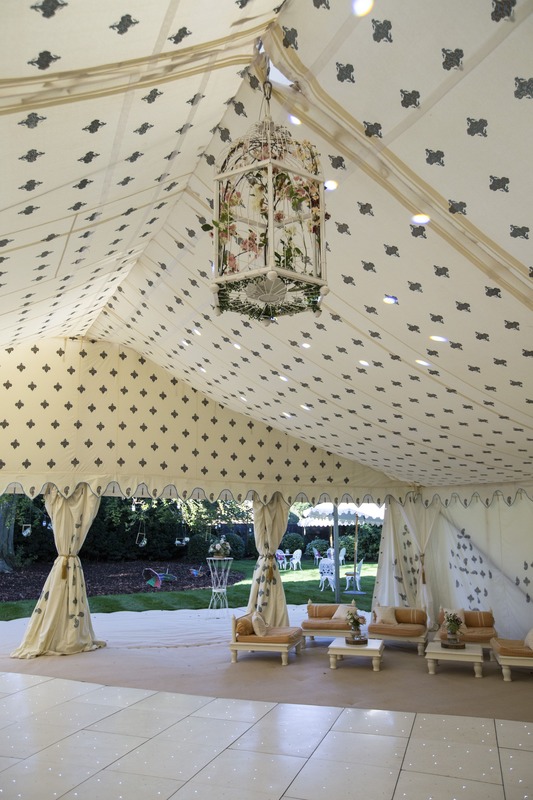 Our chandelier frame can be transformed according to the look and theme of your marquee. 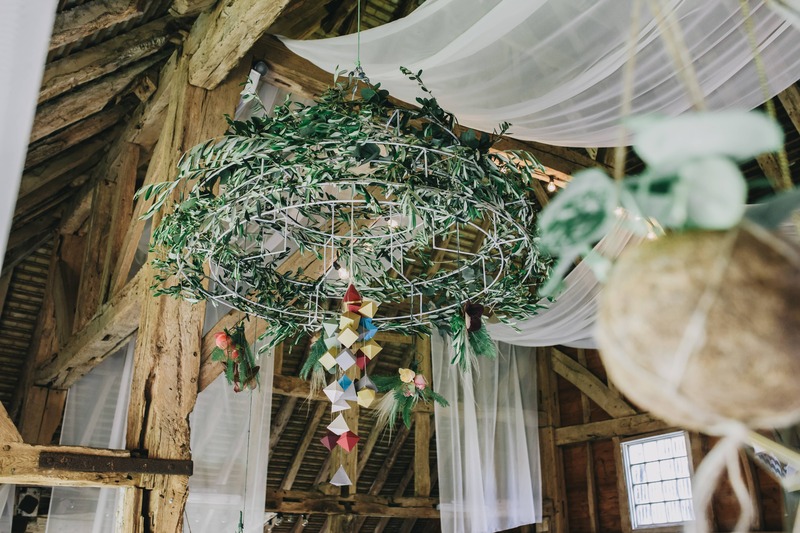 Below the frame was made to incorporate a ‘Geometric Greenery’ wedding theme using olive branches and suspended geometric shapes and roses. If you are interested in one of our chandelier frames, please contact us. Add a touch of sunshine to your marquee with this framed chandelier, transcending from white to the brightest of yellows. This works well when matched with our bright tassel garlands. 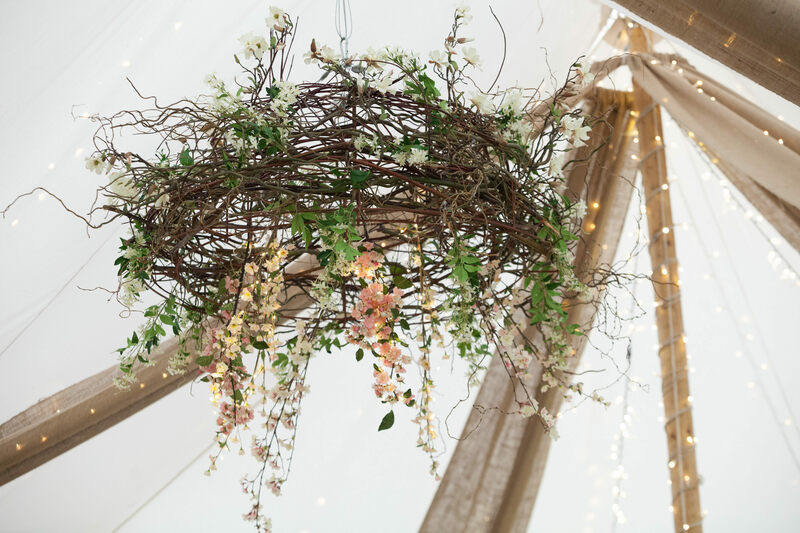 The Bird’s Nest chandelier was created for our Rose Gold photoshoot, really offsetting a blush pink colour palate, hessian draping, and warm white fairy lights. What a difference lighting makes! Gobo Light projectors can add interest at night, projecting patterns and stars onto the linings. It works particularly well on flat pale surfaces. Hanging pretty items from the ceiling of your marquee is often an inexpensive way to add a personal touch and make a feature of the ceiling. Ruched up pompoms are a great way to incorporate the colour scheme. Odd numbers are the magic numbers when it comes to adorning items off the ceiling, and pompoms are no exception, so always hang in one, threes or fives. Tassel garlands are very 2017, and the beauty of these is you can hang these in abundance! We love these rose gold fabric tassels in shimmery pinks and creams. Why not have a matching leather garland that you hang on the back of the happy couple’s chair, that can be kept as a keepsake. 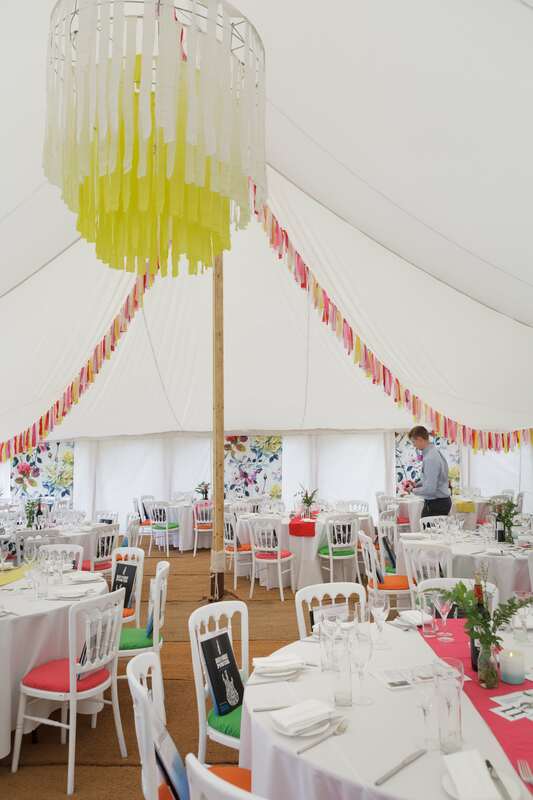 Make use of a high ceiling with suspended paper lanterns.We have a myriad of colours available to hire. Well loved by the British Public due to its association with celebrations, bunting has both a regal and navy reference – who can forget the abundance of union flag bunting that appeared up and down the country during the Royal Wedding? 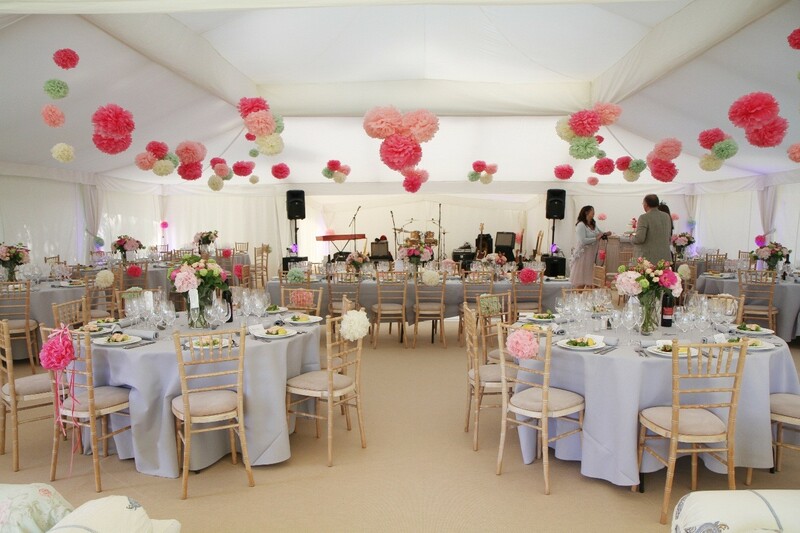 – bunting is a great way to add interest to your marquee. We have bunting available in Viva La Fiesta print, silk sari, and the pale vintage bunting – seen below. If you would like to know more about our marquee transformation, or anything else for that matter, please contact us!